Windjammers (game, 1994). A fast-paced sports arcade video game by SNK/DotEmu. Developed by Data East, DotEmu. Official Trailer. 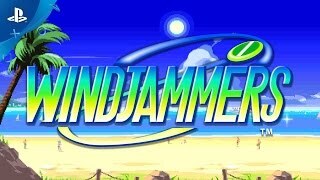 Windjammers is a fast-paced sports arcade video game by DotEmu and SNK, developed by Data East and DotEmu. Windjammers - PlayStation Experience 2016: Announcement trailer | PS4,PS Vita. The player maneuvers around his/her side of the court in any of the 8 cardinal directions (allowing for almost fluid movement in any direction). They must act as the defense and offense of their side, blocking the disc from entering the goal zone, and throwing the disc back to the opponent's side attempting to score. Players throw the disc back and forth (with the speed of the disc generally increasing with each throw) until one of them scores a point, which causes the disc to be reset by the referee, who throws it to the player that was scored on so that they can serve. There are yellow and pink zones with the former being worth 3 points and the latter being 5, with the zones positioning varying for each court. Also not catching the disc while it is in the air (described below) is considered a "Miss" and gives 2 points to the opponent. 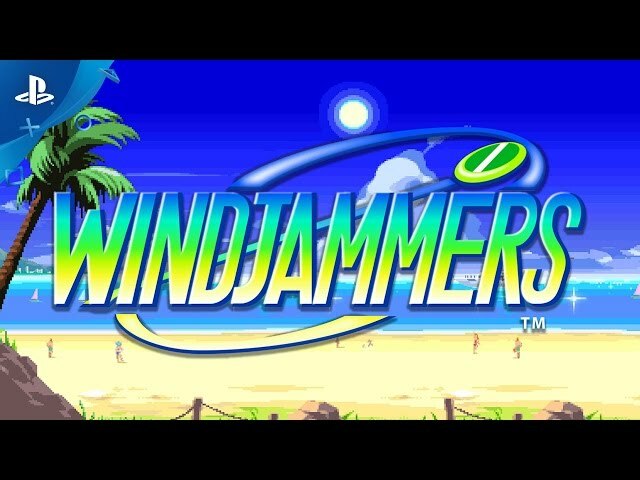 Windjammers was scheduled to be released by SNK and DotEmu on February 17, 1994, on April 8, 1994, on January 20, 1995, on June 22, 2010, on August 29, 2017 and on October 23, 2018. It is a multiplayer and single-player video game. This video game is available for the following platforms: Arcade, Neo Geo AES, Neo Geo CD, Nintendo Switch, PlayStation 4, PlayStation Vita, Virtual Console.